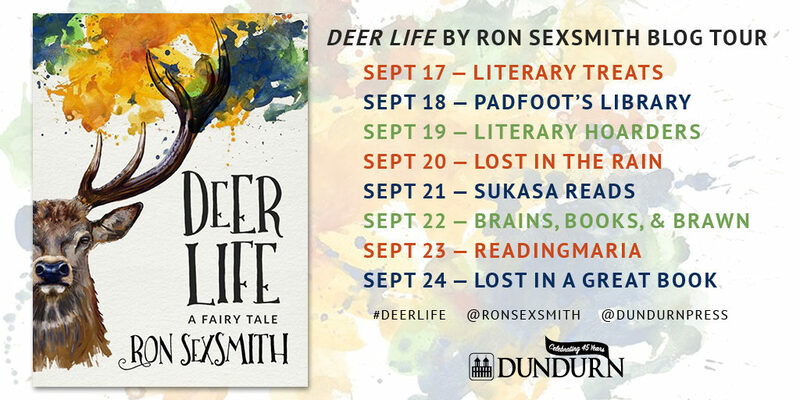 Two (2) lucky Canadians will have the chance to win their very own copy of Deer Life by Ron Sexsmith right here on Literary Hoarders! For your chance to win, please either comment here after this post, comment on our Facebook post or retweet the Giveaway tweet on Twitter! We’ll throw all the names into a randomizer and pick two lucky winners! (Canadian entries only!) Thank you to Dundurn for offering the chance to win and for sending an advanced reading copy of Deer Life to the Literary Hoarders. I’ll admit that when the publisher first sent this book, I didn’t think it would be one that would appeal to me. Hmmmm, a fairy tale? I’m not the person that reads a great deal of fantasy, young adult books or fairy tales, so I didn’t anticipate picking this one up. But when Dundurn asked if I would participate in the Canadian blog tour I couldn’t say no – they’ve been very generous to the Literary Hoarders with their advanced reading copies. And perhaps it is the marketing of this book as an adult fairy tale that has done Sexsmith some disservice, in my opinion. It is better suited to a younger audience. While there were parts I did enjoy: there was some sweetness to certain parts of the story, for instance the introduction and background story of Claira Hinterlund, was a sweet part. But again, much is written where it would be a stronger attraction for younger readers. I also think more guidance and stronger editorial direction would have benefited Mr. Sexsmith. I’ll admit to using parentheses in my writing, but in Deer Life, their number of occurrences, (it can be seen in his letter to the reader and in the description used by the publisher), becomes off putting and overly excessive. 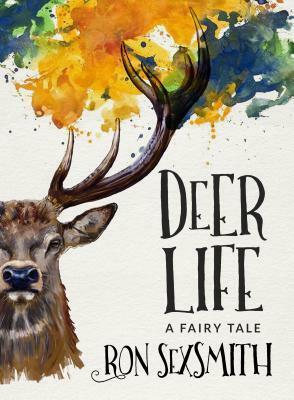 Deer Life has been generating great buzz and has been appearing on many lists, such as The Loan Star’s September Top 10 and Toronto Star’s 25 must read books this fall. My fellow reviewers reading Deer Life for Dundurn’s Blog Tour can be found in the graphic below. And don’t forget to enter to win a chance for your own copy! 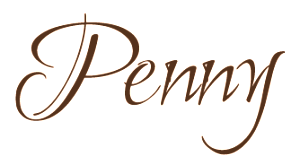 Literary Treats and Padfoot’s Library both have Q&As with Ron Sexsmith here and here. Dreams are weird and wonderful. Interesting. Looking forward to checking it out. Good luck Lara! Thanks for entering! Would be nice to take a look and see what this tale brings to us, readers!